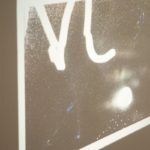 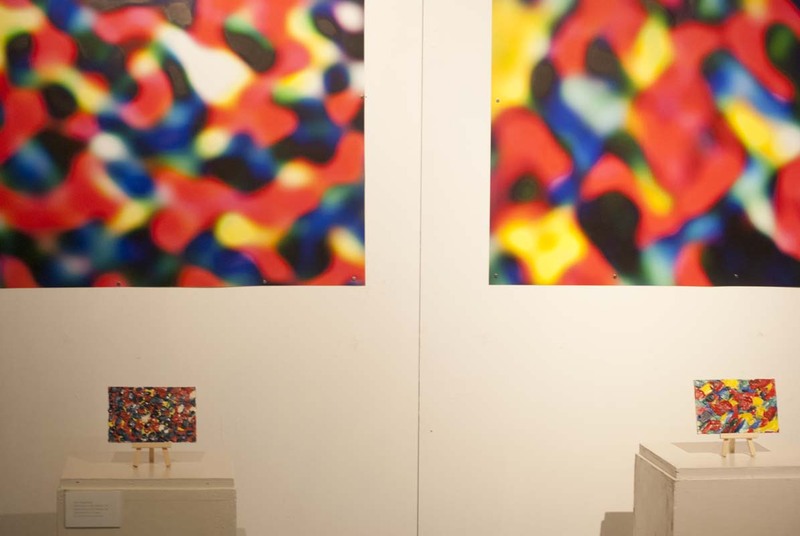 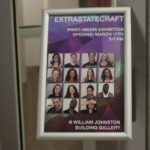 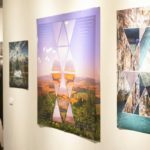 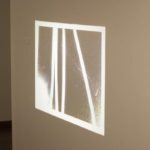 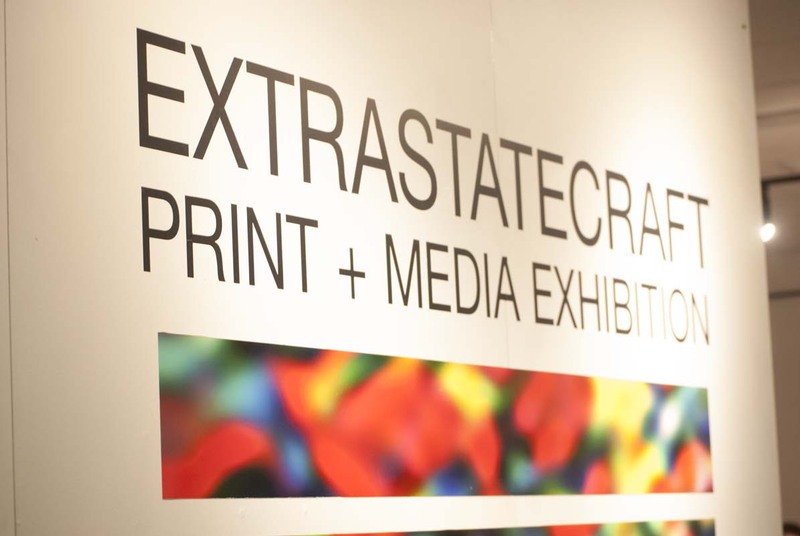 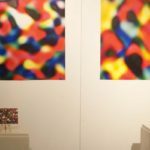 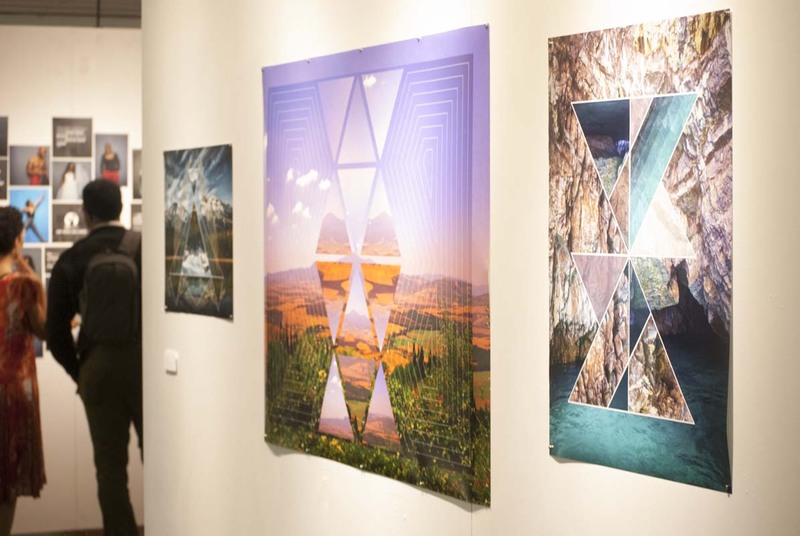 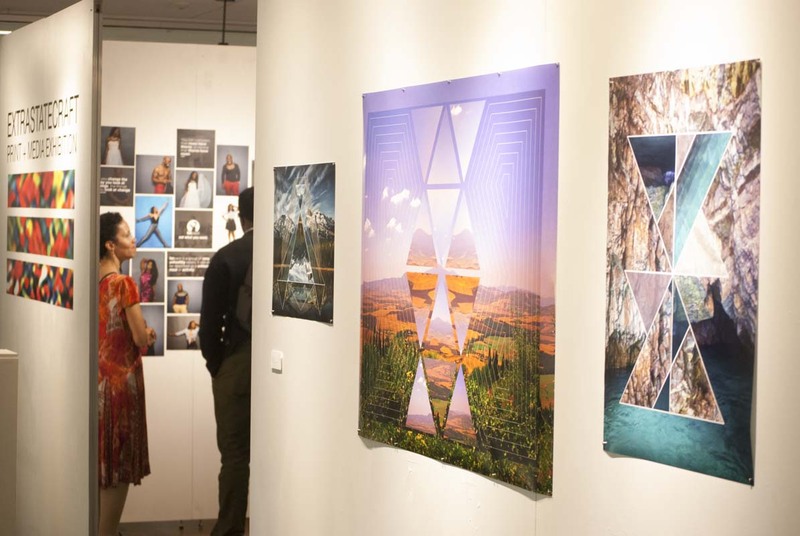 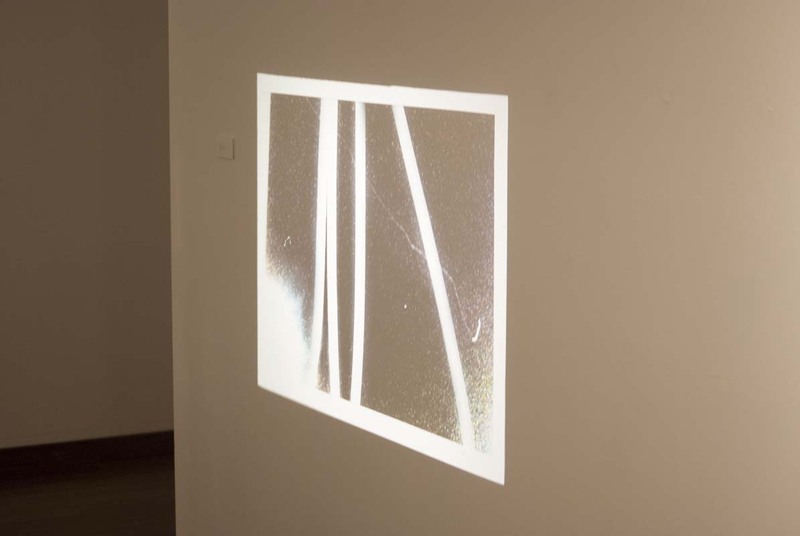 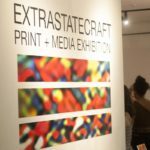 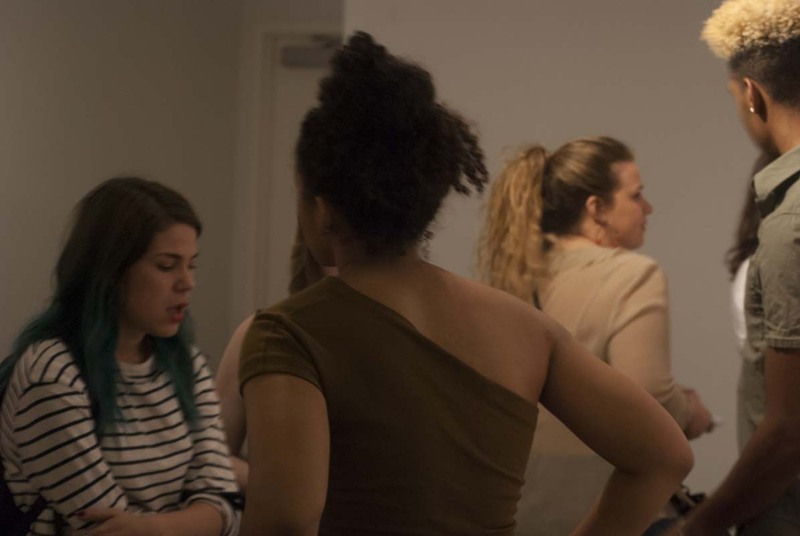 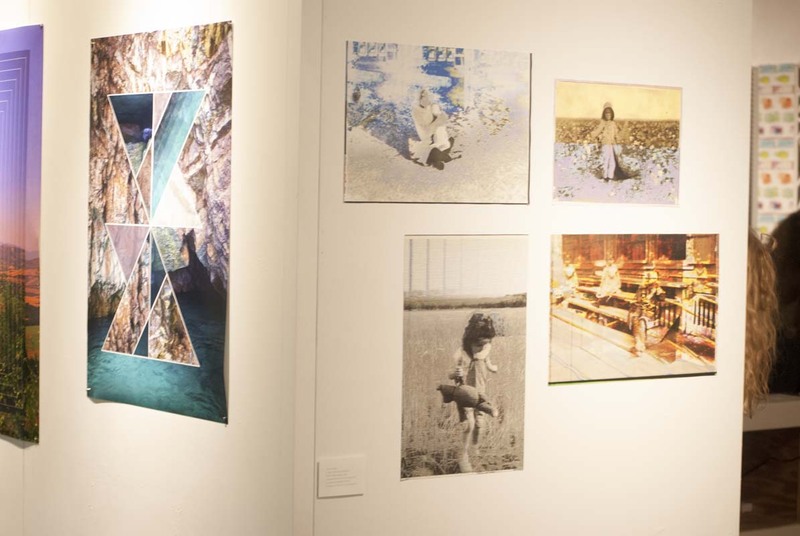 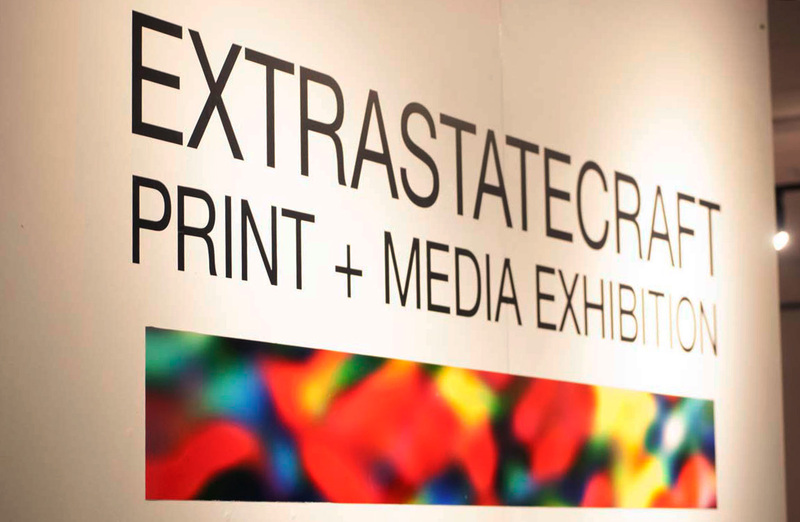 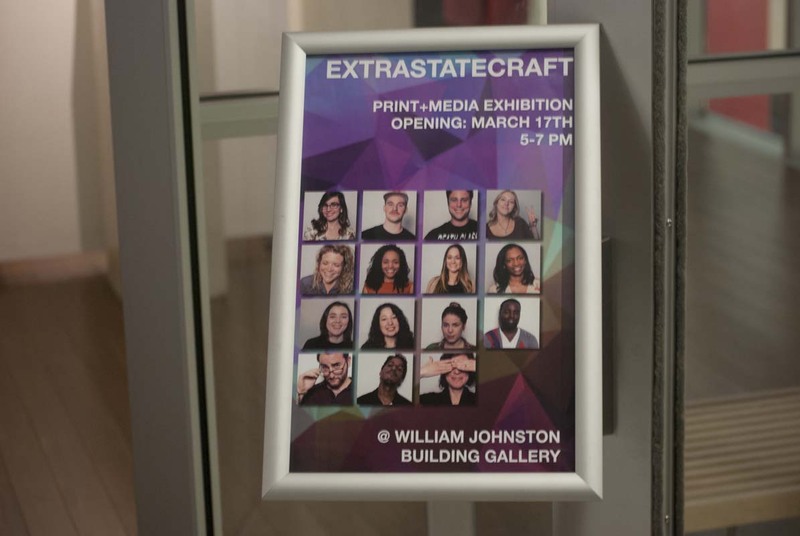 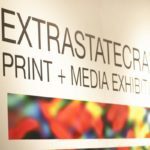 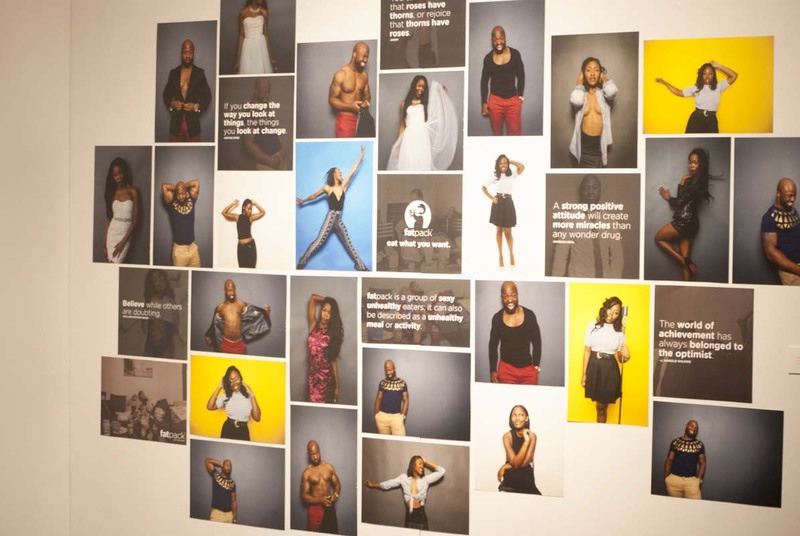 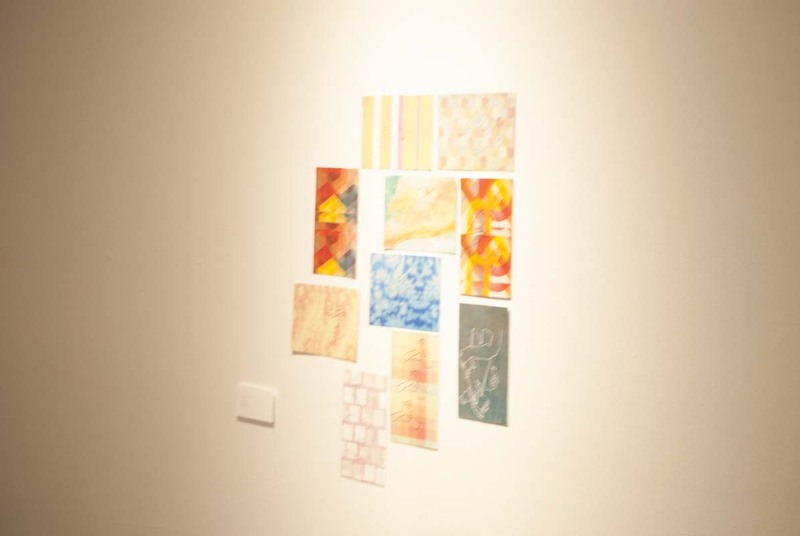 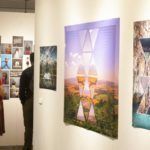 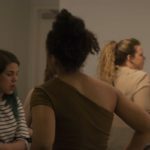 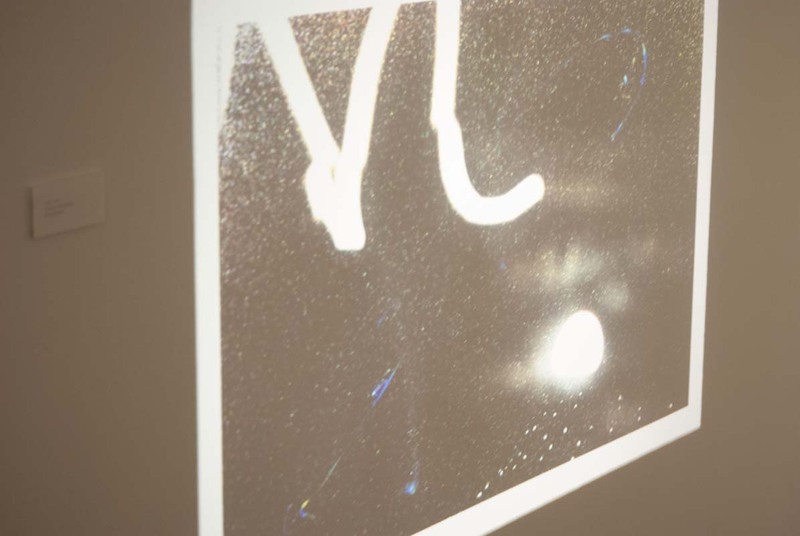 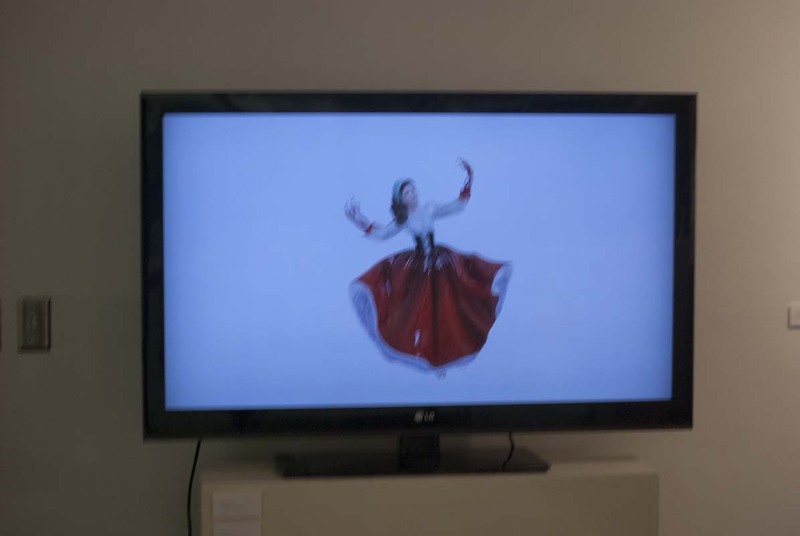 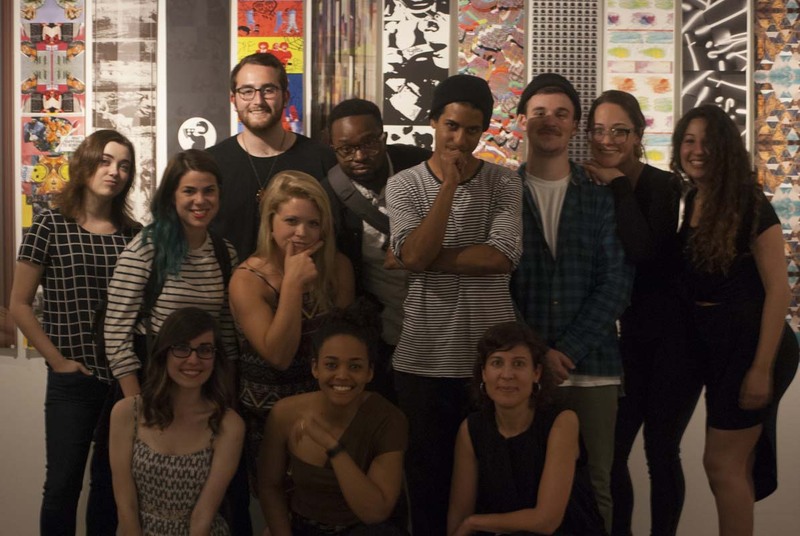 On March 17, 2016, Assistant Teaching Professor, Joelle Dietrick and her students exhibited featured work from their “Print+Media” course, inspired by architect Keller Easterling’s 2014 book of the same name, EXTRASTATECRAFT. 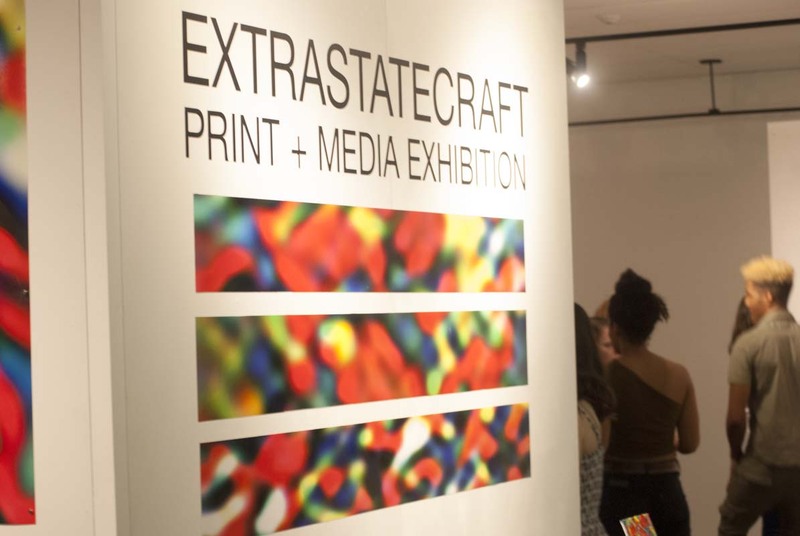 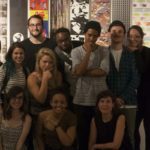 The “Print + Media” course is an advanced undergraduate seminar, currently instructed by Joelle Dietrick. 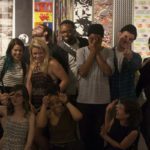 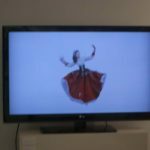 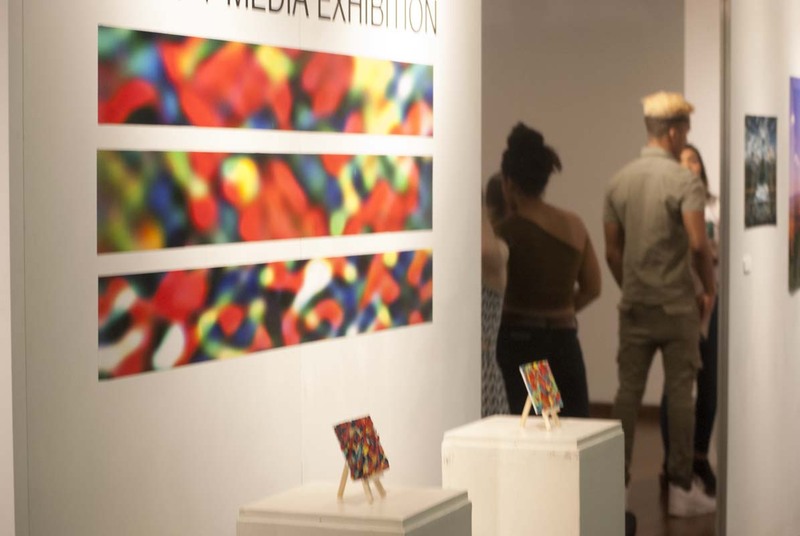 The course explores color, writing, and research as an integral part of the creative process, challenging students to consider content and form as it relates to the history of visual literacy. 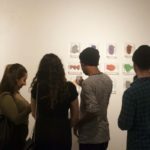 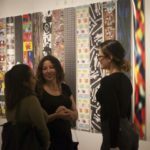 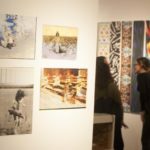 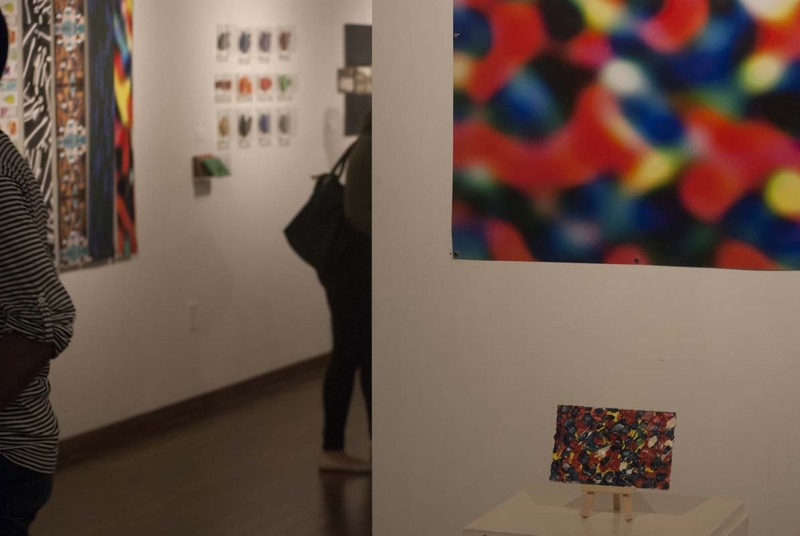 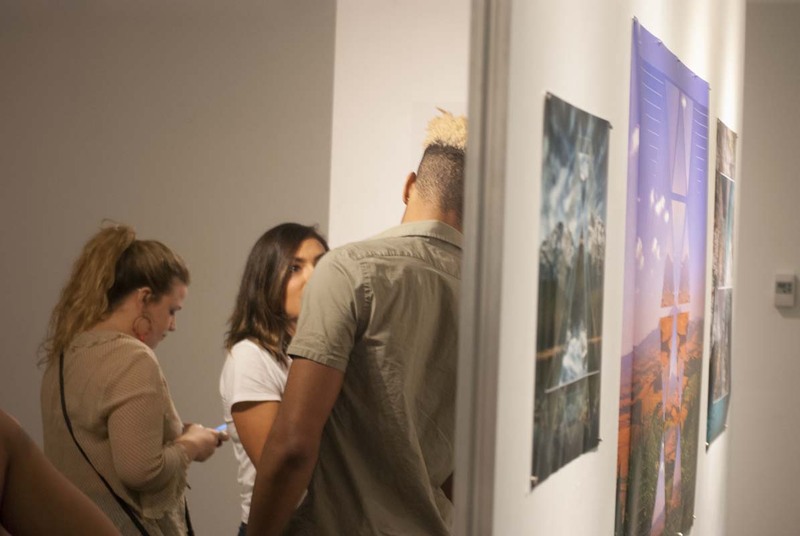 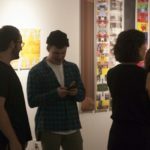 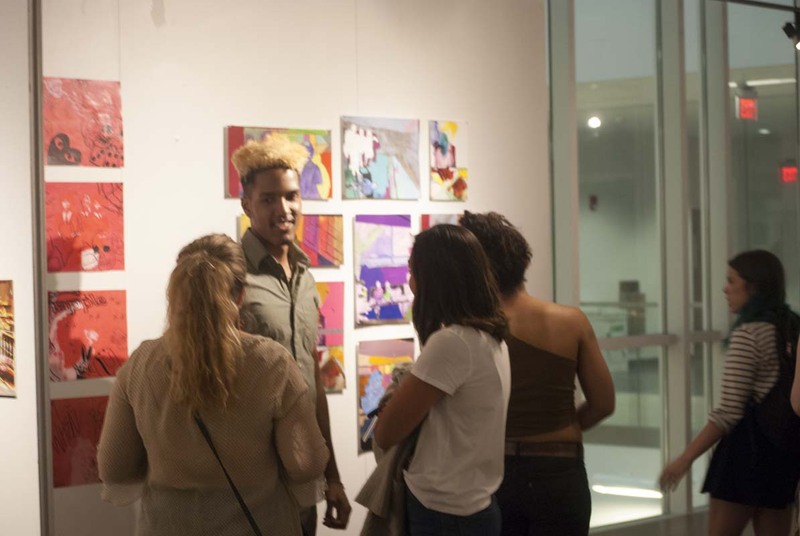 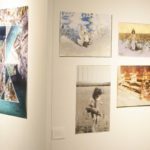 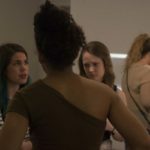 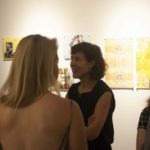 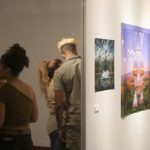 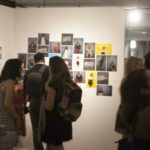 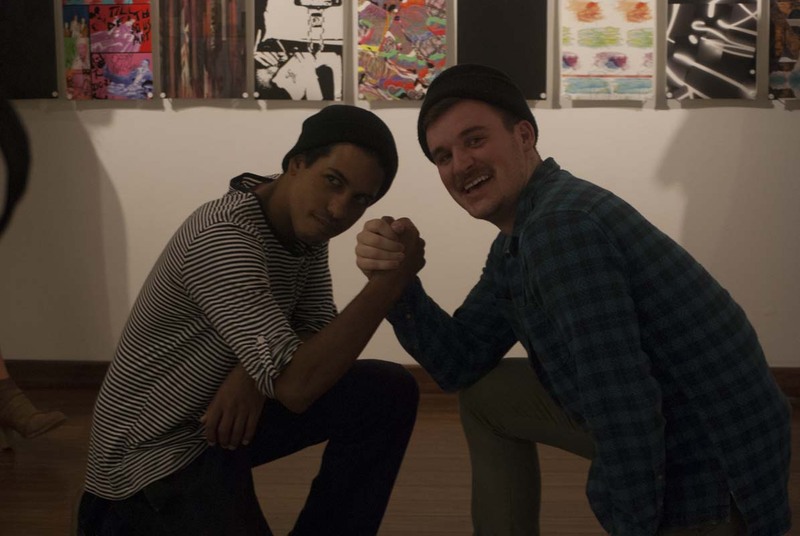 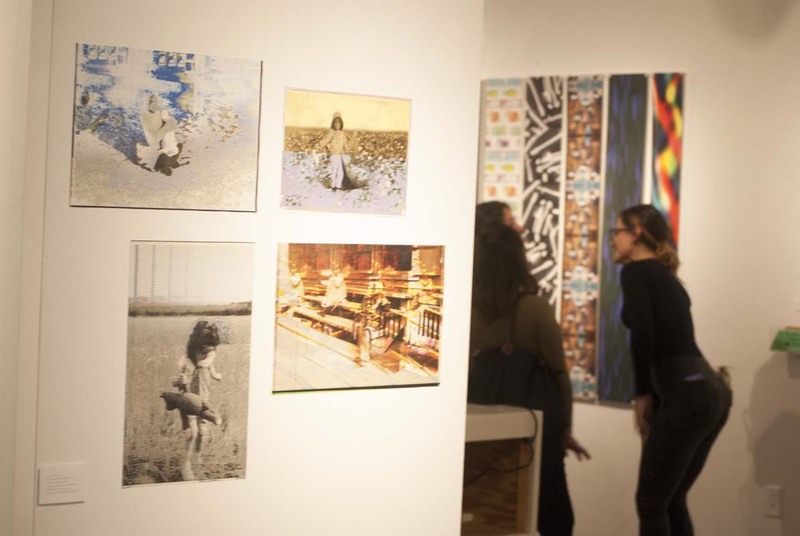 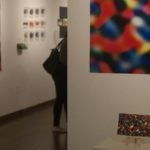 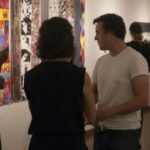 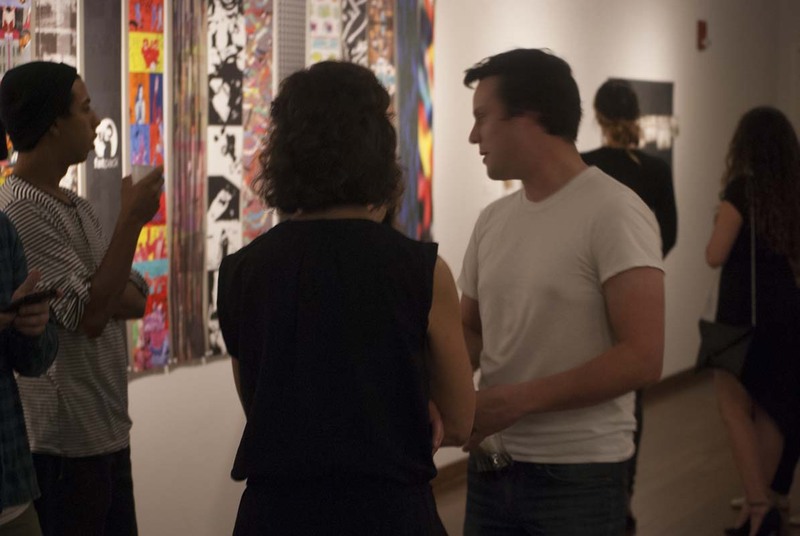 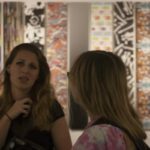 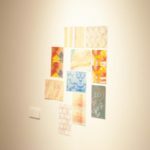 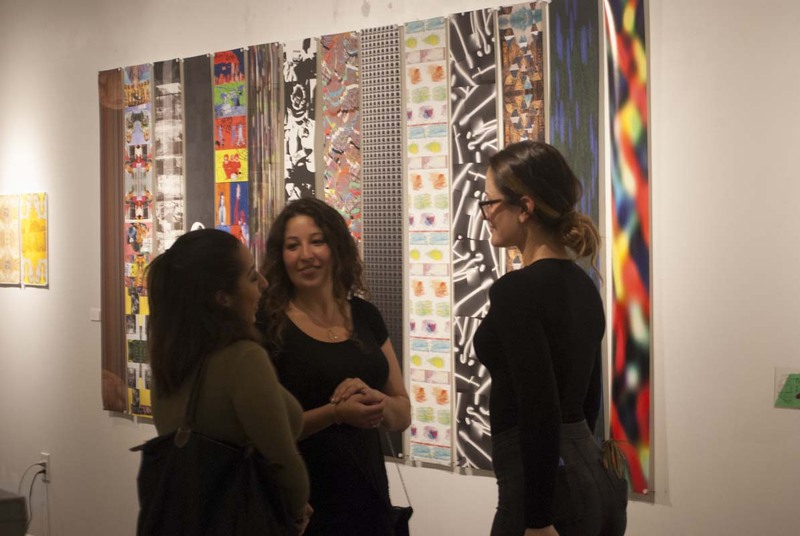 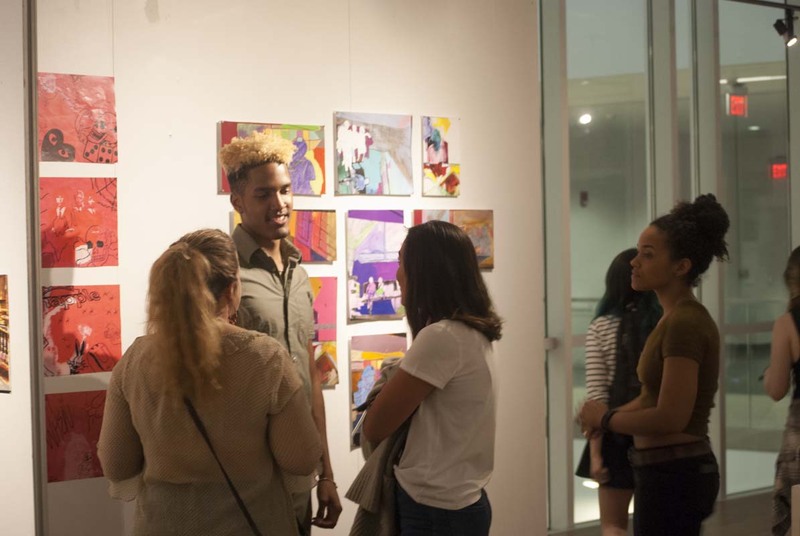 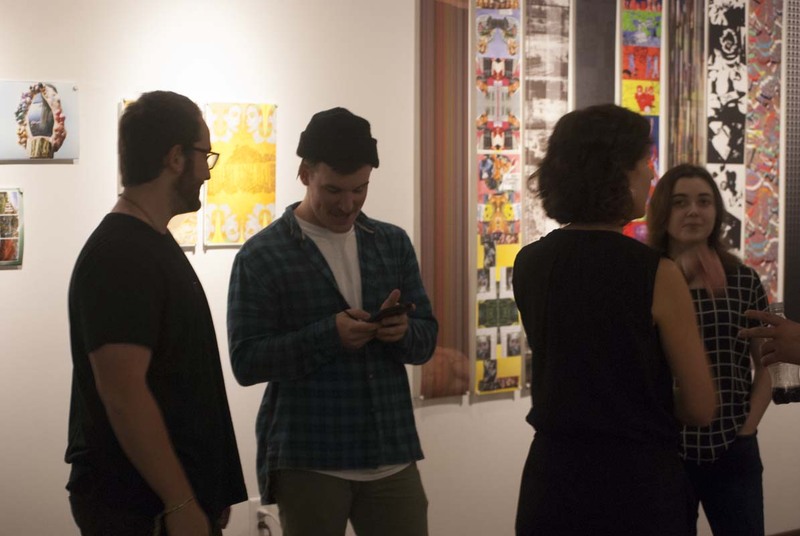 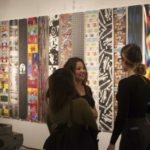 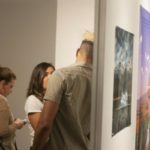 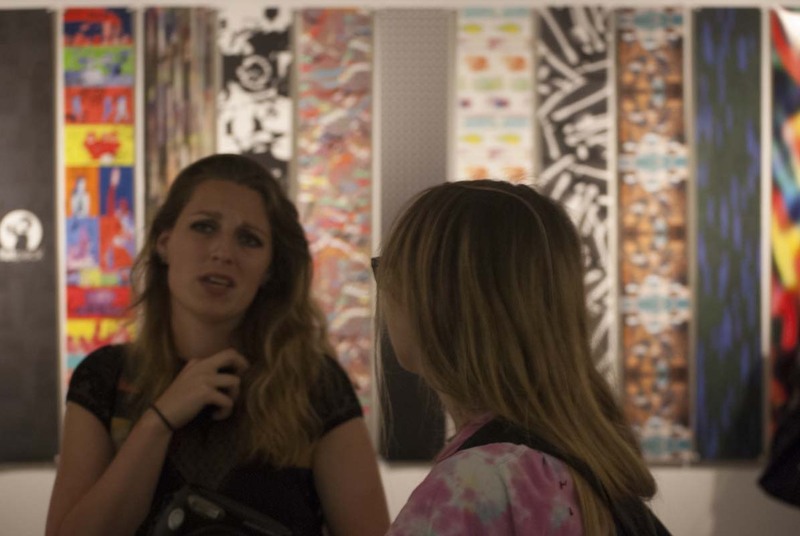 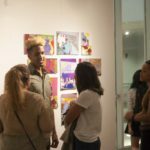 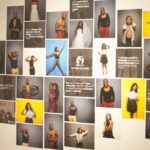 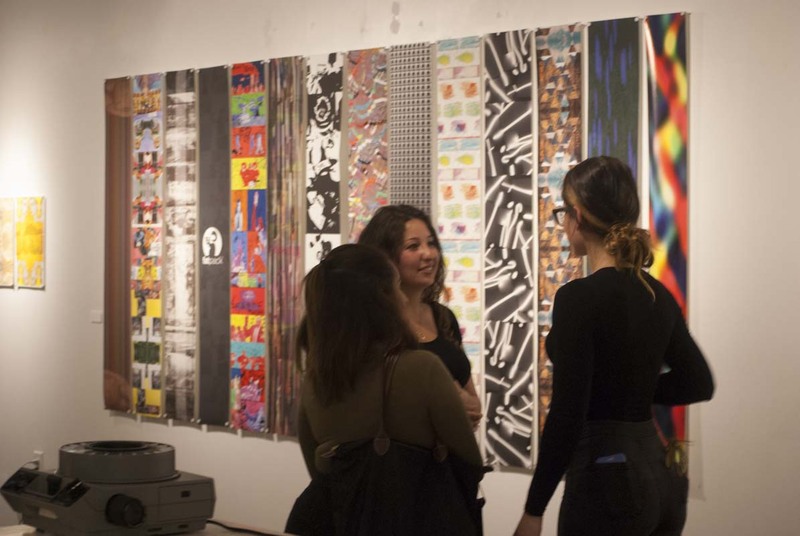 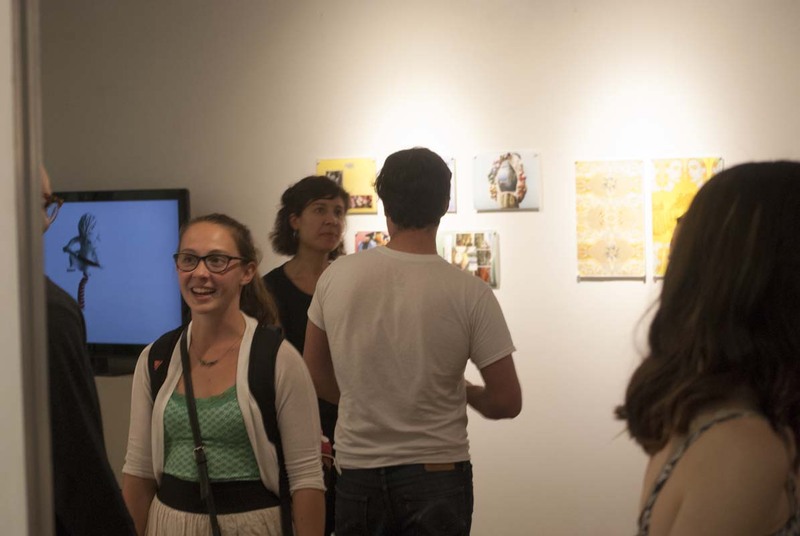 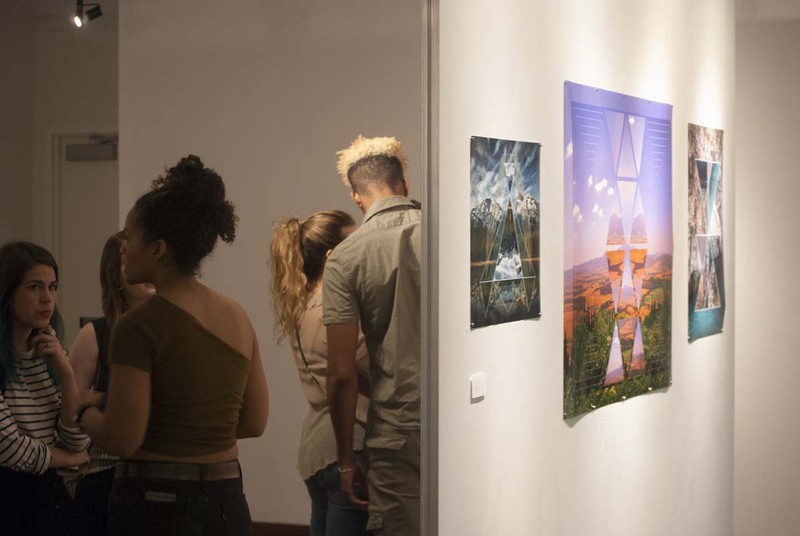 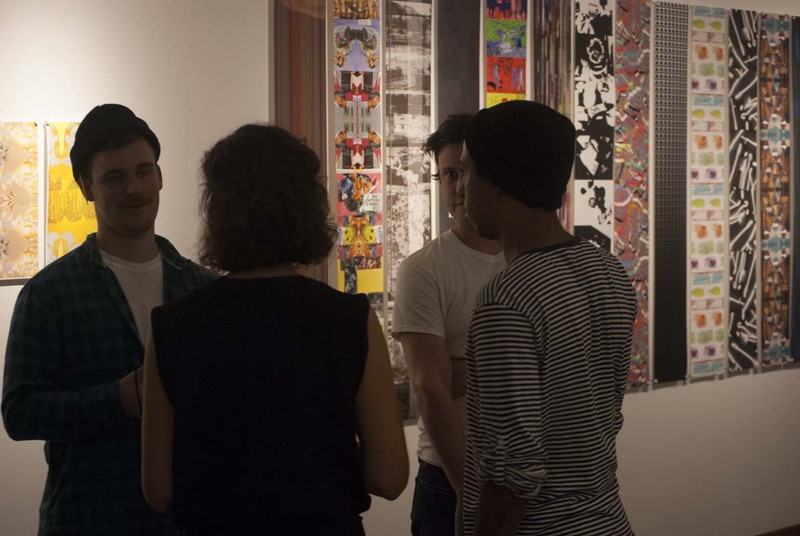 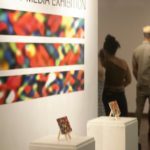 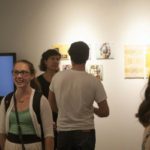 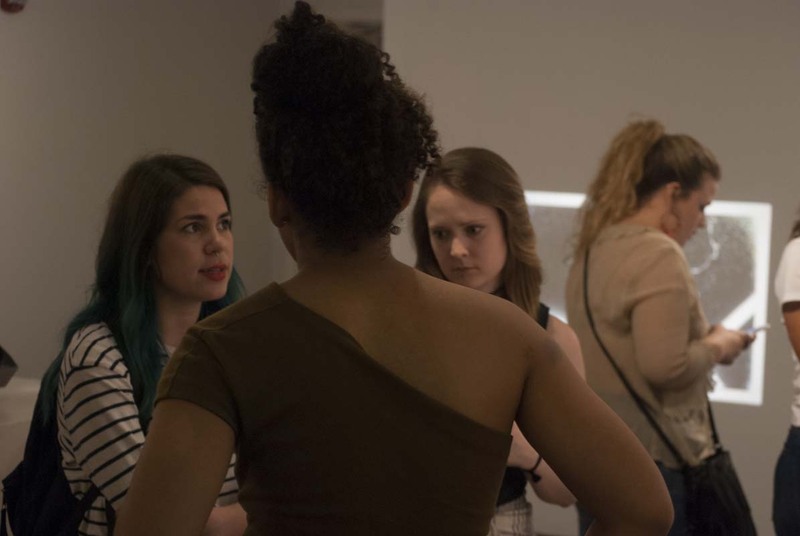 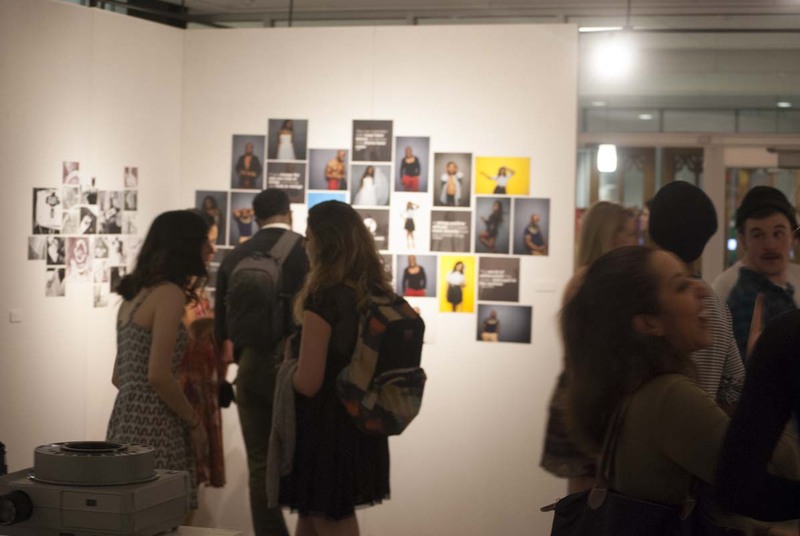 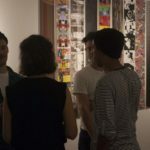 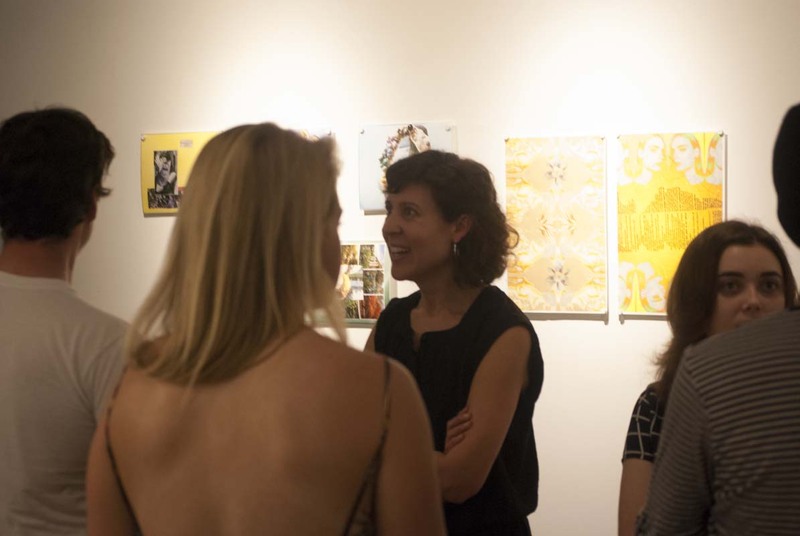 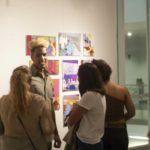 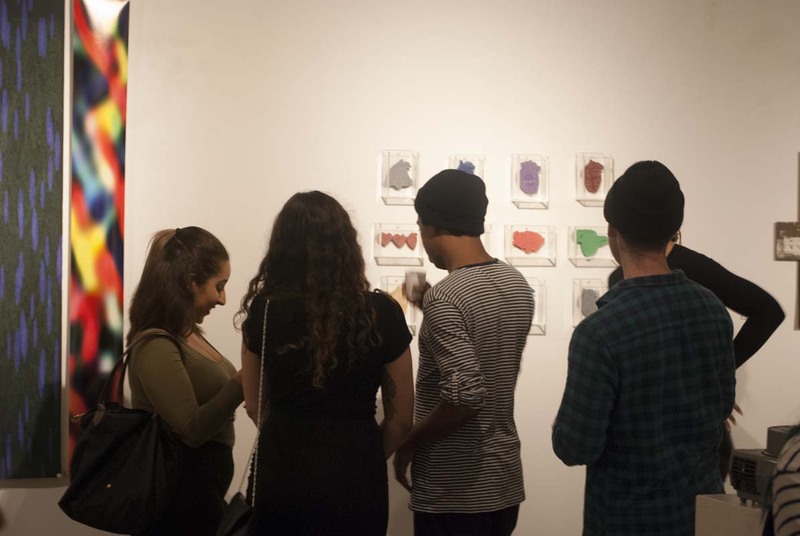 The opening reception welcomed guests with an array of hor d’oeuvres into the William Johnston Building gallery space that displayed a variety of works: time-based pieces, projections, collage, photography, and other multi-media series. 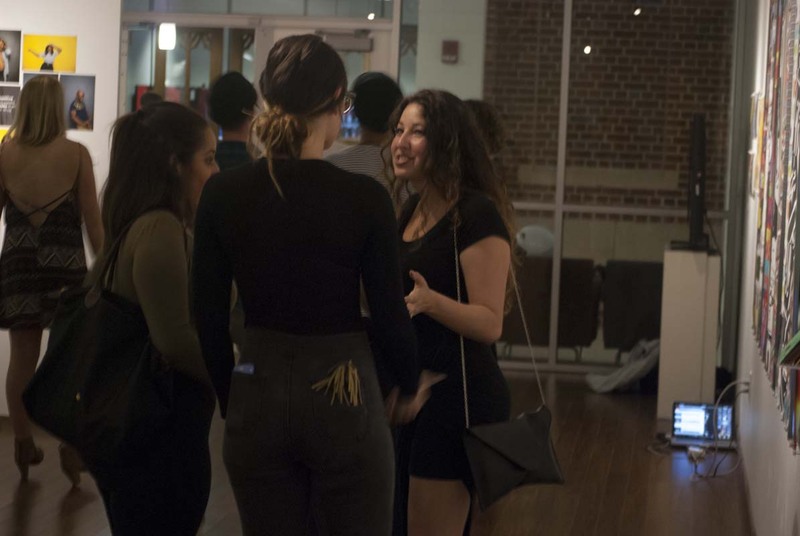 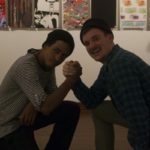 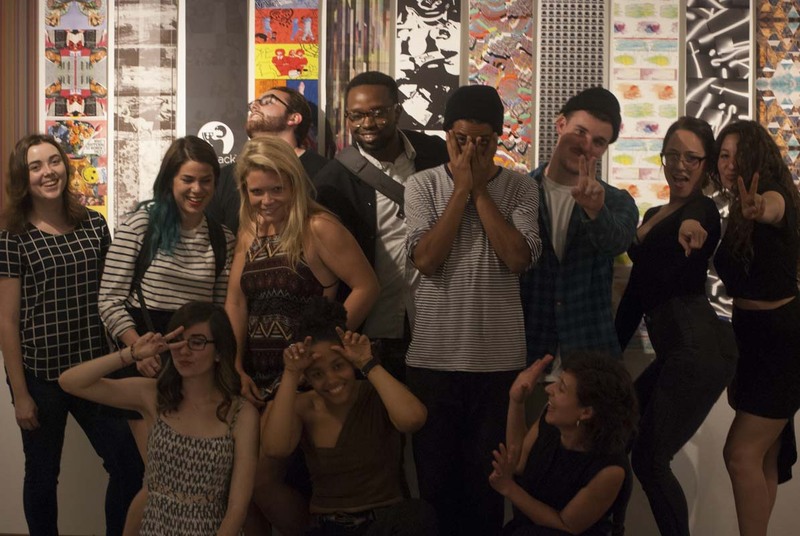 The student artists were present — engaging guests, and available to discuss the content of and inspiration for their work.